All Forms are located by clicking the “Resources” tab above (Architectural Changes, Clubhouse Rental Agreement, Pool Application, and Recreation Card). Village of Valley Green is a community of 488 townhomes located in Etters, Pennsylvania. The Village of Valley Green Townhome Association is governed by its own elected Board of Directors. The Board generally meets the 3rd Wednesday of each month from 7pm until 8:30pm at the Village of Valley Green Community Clubhouse. All homeowners are welcome to attend the meetings. Please contact PMI prior to add any concerns to the agenda. Publish news and information relating to the Village of Valley Green Townhome Association. Become a mechanism for increased participation for the Village of Valley Green Townhome Association. Promote Village of Valley Green Townhome Association by serving as both as a promotional and public relations vehicle. To create the highest possible standard of living for Village of Valley Green. 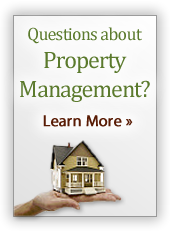 To provide increased property values for the owners. To provide preventative maintenance procedures. To honor our fiduciary responsibility to our homeowners. © 2010-2019 Village of Valley Green Townhome Association. All Rights Reserved.